Special Counsel Robert Mueller is investigating where Pavel Fuks and other foreign nationals channeled money to Donald Trump’s inaugural committee. 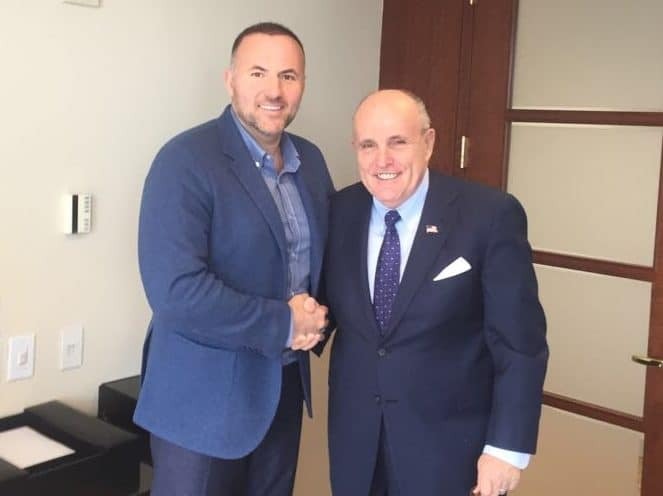 The Russian-Ukranian real estate and oil mogul has a business connection to former New York Mayor Rudy Giuliani, who is one of Trump’s lead lawyers. Giuliani said in 2017 that Fuks hired his security firm, Giuliani Security & Safety, to advise the city of Kharkiv in Ukraine, according to a Mother Jones report. “He was [a] sponsor of a preliminary study that my firm did of security and emergency management in Kharkiv and some on advice on a planned Holocaust Memorial,” Giuliani said in a text message. Giuliani’s statement goes against what Fuks said last year, according to Ukrainian magazine Novoye Vremya, which reported that Fuks said he hired Giuliani to “create a U.S. office for supporting investment in” Kharkiv, which is located near the Russian border in eastern Ukraine. Giuliani said, “I have no knowledge of that,” when asked. In 2017, not only was Giuliani photographed with Fuks in New York, but in November he visited Kharkiv on business. Giuliani said in December 2017, his personal involvement in the project ended and that he has no ongoing relationship with Fuks. Giuliani said his work for Fuks does not approach “anywhere near a conflict” with his legal work for Trump. The Giuliani-Fuks business relationship does, however, highlight the problems caused by Giuliani’s work for allegedly corrupt international officials and autocrats because he represents the president. The Mueller probe is interested in the Trump-Ukrainian connection, in part, because 12 Ukrainian political officials and businessmen attended Trump’s inauguration. The inaugural committee could not legally accept foreign money, yet tickets to many of the inaugural events required donations of tens of thousands of dollars to the inaugural committee.